College Board Partners with MDA to Keep Graduates in Miss. 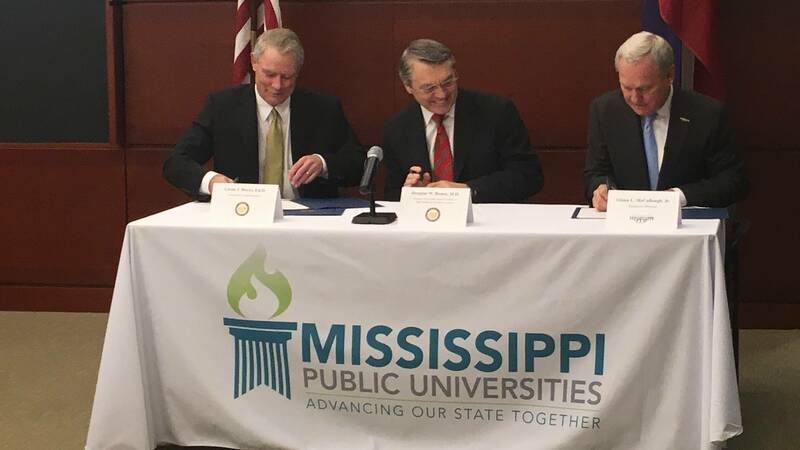 Mississippi's public universities are teaming up with the state's development authority to keep graduates in the state and help grow the economy. Governing.com reports since 2014, Mississippi has seen a steep population decline. Out of every 1,000 residents three have left. The Mississippi college board and the state development authority are partnering to change that by helping to improve the state's economy. College Board Commissioner Glenn Boyce says public universities are an asset to business recruiters. "They've got specific questions business and industry do about relocating and those specific questions are, how are you going to create a program for whatever my product maybe or whatever my needs maybe," said Boyce. Boyce also says businesses want to know there are enough qualified applicants to support their operation. The partnership includes a new website called msgradjobs.com. Dale Smith with the Mississippi Department of Employment Security says students who register are emailed job listings. Twenty-nine-thousand have signed-up. "A study that we have done during this pilot indicates that 80 percent of the individuals who click on one of those jobs that we offer them is eventually employed in the State of Mississippi," said Smith. Smith says nearly 270 employers are participating. Soon he says companies will be able to search the site for applicants. Glenn McCullough is with the state development authority. "We're in communication on a regular basis with business and industry that's located in Mississippi and we're saying 'hey if you need additional talent we can go to msgradjobs.com and you can access some of the brightest men and women in the world,' " said McCullough. McCullough hopes alumni of Mississippi public colleges and universities will sign up on msgradjobs.com as well.